The staff was very friendly and helpful in a way that it felt sincere and natural. The room was very nice, the bed very good and the bathroom had all it needed for a business traveler and clean! The breakfast was good with a good choice of different things to eat. I really enjoyed my stay in NH Brussel Stephanie and would go there again. 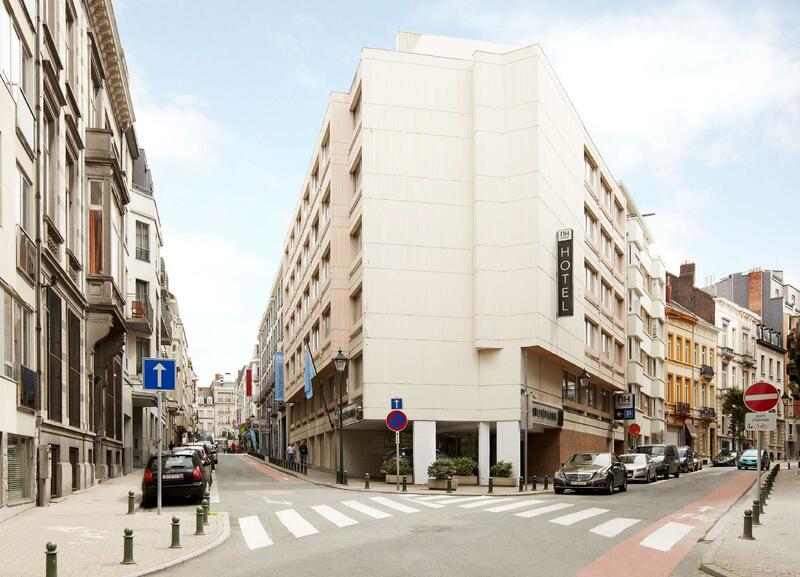 Well located near Louise metro and tram station making public transport to all locations in Brussels very easy...many shops within walking distance. As it is located away from the main Ave Louise inside a residential neighborhood it is also quiet. Staff and their service was good, nice breakfast. Friendly staff, clean large room, very well equipped and in a very nice neighborhood. A very good, no-frills hotel convenient to Louise and transport around Brussels. Clean room, comfortable bed, good wifi and helpful and friendly staff. There is a restaurant, but I didn't use it - a bit expensive, I thought, and plenty of eateries in the area. What more do you need? Very quit, huge rooms and the cleanest room I have ever seen. Professional and very polite staff. Design is not very "modern" but it looks sleek, a lot of the fancy 'artsy' hotels in the neighborhood can learn allot from this hotel and the staff. I paid 50 euros from the airport to a wrong NH hotel which was not this one. There is another NH nearby, so make sure your driver take you to the right one. Staffs were very friendly. Next door people were way too loud. Walls are too thin. Great area to stay. Windows are large, which was great. Pleasant stay at the hotel. The hotel is centrally located with quick and good access to transportation shopping and entertainment. It is also quite personable. The staff makes it a very comfortable experience to come to after meetings. It feels quite welcoming and warm. I like the fact that hot soup is available round the clock. There is also self service of snack available as well as table service. A really very good experience. 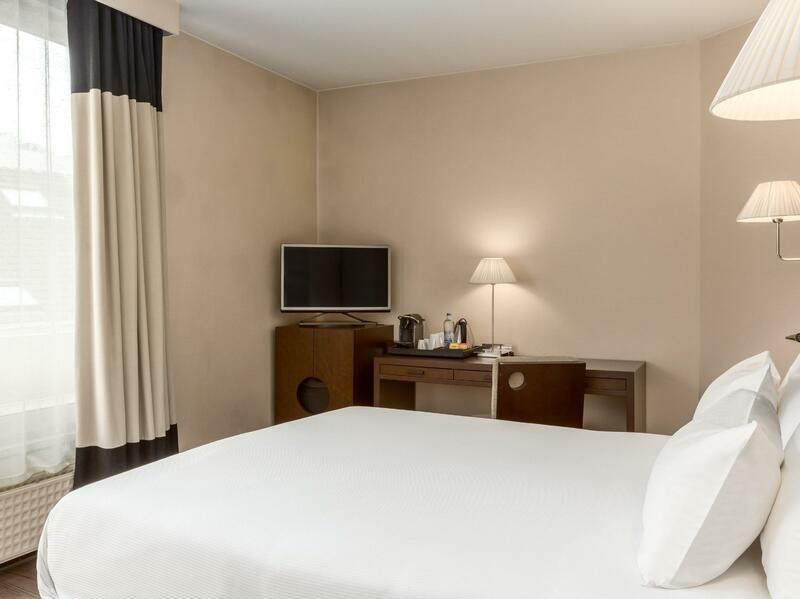 I highly recommend NH Brussels Stephanie!!! Good location, nice condition, nice rooms! Νο slippers insite the room (not provited, only in superior)! Forget to clean the room! Forget to leave a shower gel! We just wanted a relaxing week end in Brussels and we found the hotel perfect for that. The room was big and comfortable and the breakfast was decent. As the hotel is quite centrally located it allowed us to go to our favorite eateries in Brussels. All in all if you are looking for a good hotel in the center of Brussels and near public transportation then pick this one. My husband and I spent 4 nights here, the hotel was very nice, clean and located well. It's very clost to the metro and also can walk to the main square by foot. It was amazing to get this price (EUR 82 per night) including breakfast for 2 people. 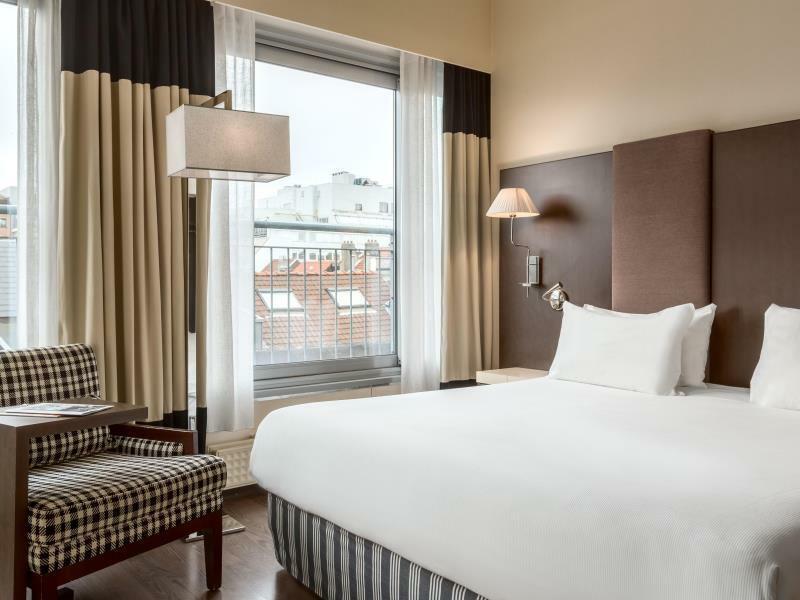 If you have a short stay in Brussels, this hotel is a great choice for you!! !